Healthy snacks to search out at the grocery store. 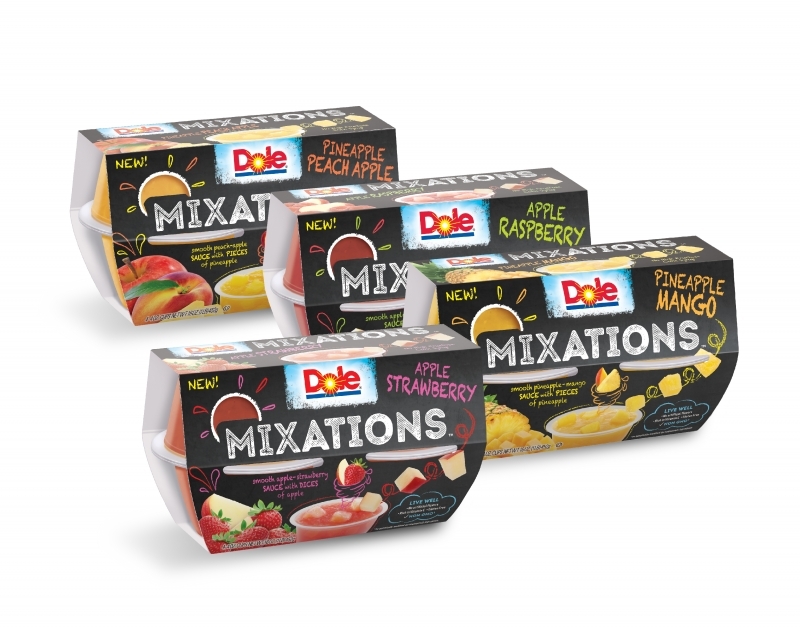 DOLE Mixations are surprising combinations of smooth fruit sauces and juicy chunks of real fruit. Not only do these single-serve cups of fruit and sauce excite the taste buds, they are a healthy option featuring non-GMO* fruit, no high fructose corn syrup and no artificial flavors. Plus, they are rich in Vitamin C and naturally gluten free! Made with delicious organic ingredients, each bar offers a creamy nut butter filling inside an energy bar. 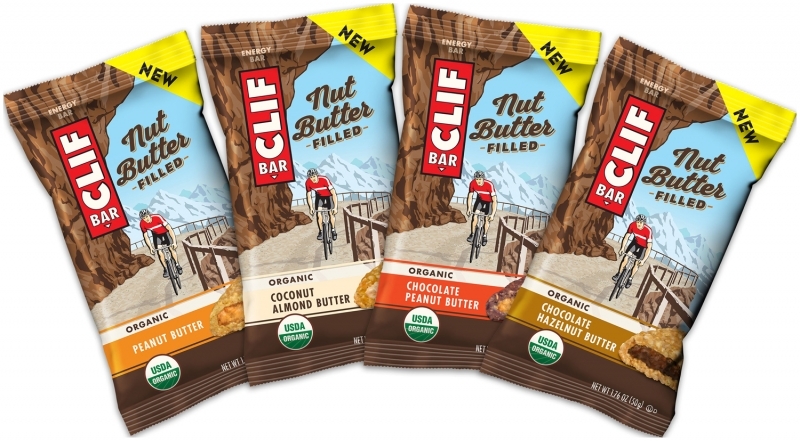 Delivering sustained energy by combining two great energy foods – nut butter and an organic energy bar – helps slow the release of carbohydrates to working muscles, making CLIF Nut Butter Filled a good choice for lower-intensity adventures. 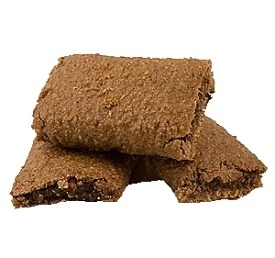 These whole wheat bars have a fig-based filling and an outer coating that is made with whole wheat flour. These bars are tasty and a great way to work in more whole grains into the eating routines of children. 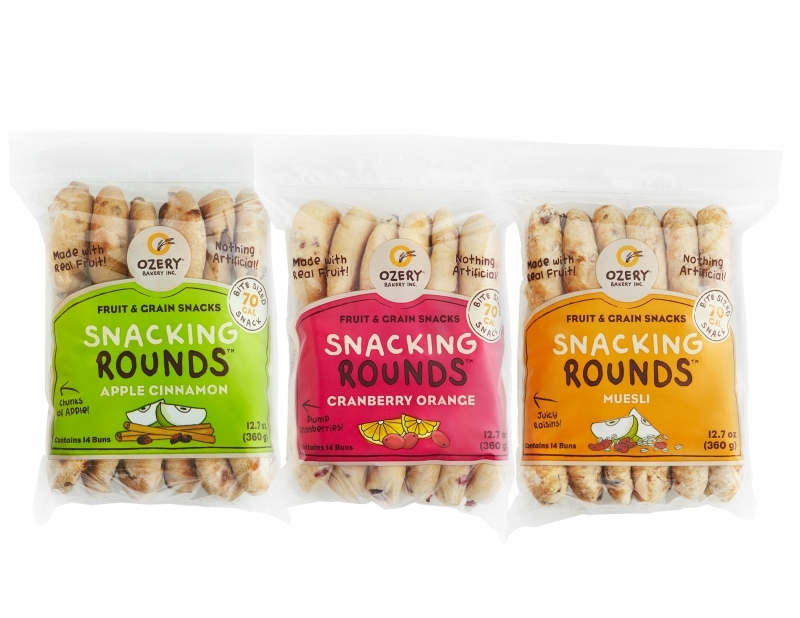 Ozery Bakery’s Snacking Rounds are a healthier alternative to muffins or breakfast pastries and are comprised of real fruit pieces and the finest grains. Snacking Rounds, the bite-sized version of Morning Rounds, are perfect for dipping and only 70 calories per serving. Both items can be eaten plain or served with cream cheese, peanut butter, fruit, and many other creative toppings! 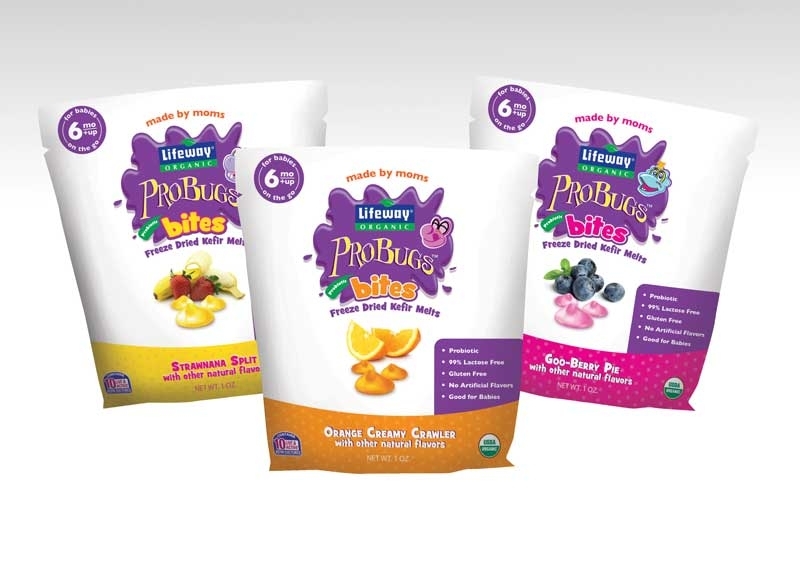 Lifeway Foods, leaders in probiotic and nutritious foods, has a series of healthy snacks for children. Perfect for toddlers six months of age and older, these organic freeze-dried kefir melts are packed with 10 live and active probiotic cultures that dissolve quickly, making them a safe and healthy option for children who are beginning to feed themselves. 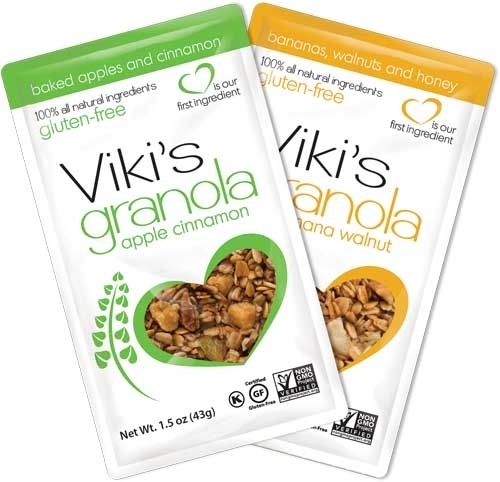 1.5oz On-the-Go Packs from Viki's Granola are the perfect addition to any lunchbox. Made with 8 or fewer ingredients, gluten-free, all-natural and no sugar added! On-the-go Packs are available in Original, Blueberry Almond, Maple Cranberry, Banana Walnut and Apple Cinnamon at retailers nationwide and online. 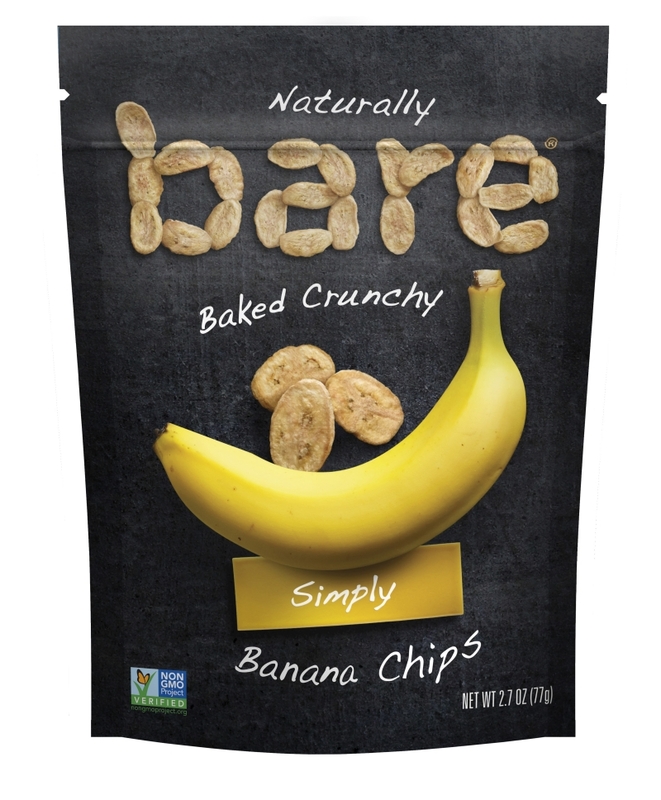 Crafted using only real, whole-food ingredients, bare Banana Chips and are free from fat, gluten and GMOs. Slowly baked to a perfect crunch, these banana chips contain no added sugar and are a great source of fiber. 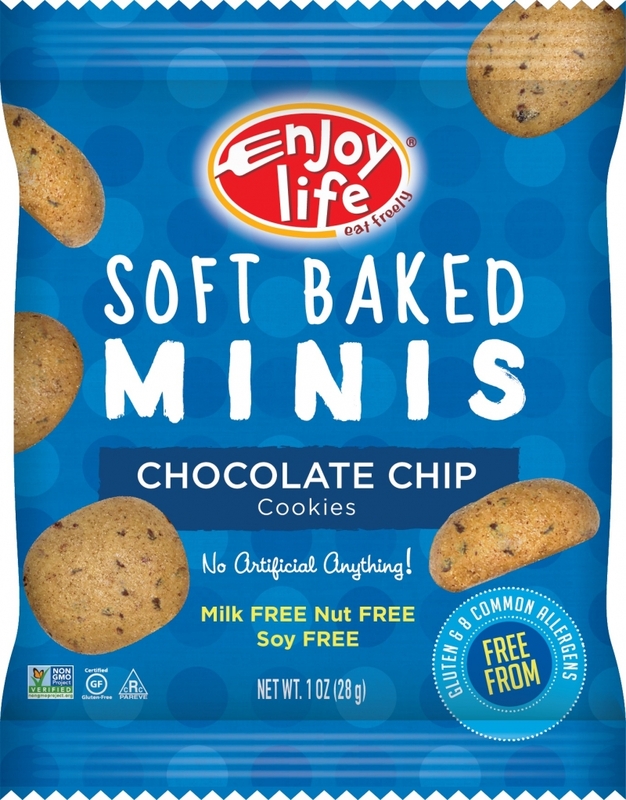 Enjoy Life Foods’ brand new Soft Baked Mini Cookies are yummy cookie bites wrapped in an easy-to-pack, grab-and-go sack, perfect for snack time or an after lunch treat. Featuring only all-natural, wholesome ingredients, these soft and chewy cookies are free from the top 8 food allergens, as well a non-GMO and gluten-free. 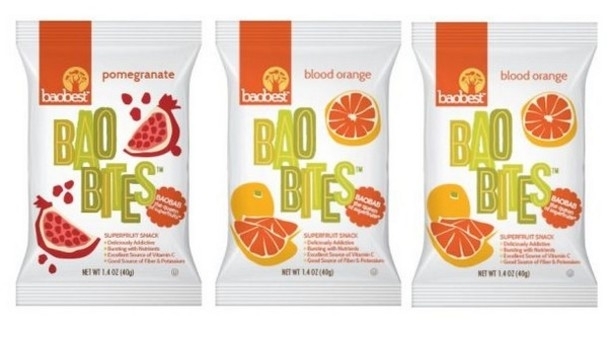 Unlike most fruit snacks, Baobest Baobab Fruit Cubes are made with baobab fruit powder, pectin and 100 percent pure fruit purees. They have nine times the antioxidants of dried blueberries, 6 grams of fiber and are only 92 calories per 40 gram serving. Available in an assorted fruit blend of blood orange, peach mango and pomegranate. 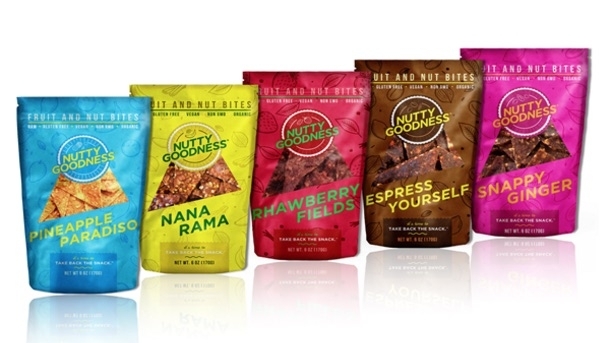 Nutty Goodness is launching their all-natural fruit leather alongside a campaign to “Take Back the Snack." It’s all about encouraging little bites, throughout the day, that deliver energy, boost concentration and cut the cravings that lead to overeating in later life. Nutty Goodness is certified all-natural organic, Non-GMO, gluten free, wheat/dairy free, raw, CLEAN, paleo, and contains no added sugars! These 5 oz burritos are packed with pinto beans, yellow and white cheddar cheese and brown rice. 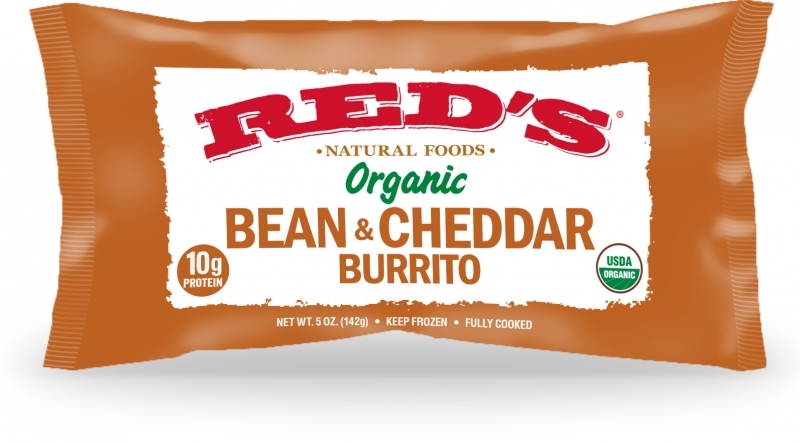 On top of all that, each 310 calorie burrito is certified organic by QAI and packs a hearty 12 grams of protein.